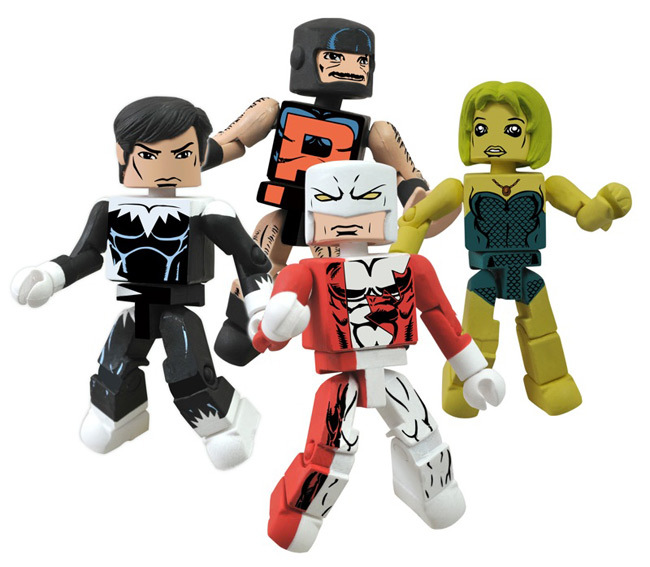 October 2012 - Visitors to the Action Figure Xpress booth at the San Diego Comic-Con were treated to two unprecedented Minimates box sets: the first Minimates of the Marvel super-team Alpha Flight and the first Minimates ever for the original Thundercats cartoon! Well, response was so strong for those sets at SDCC that AFX is continuing those two lines at New York Comic-Con! 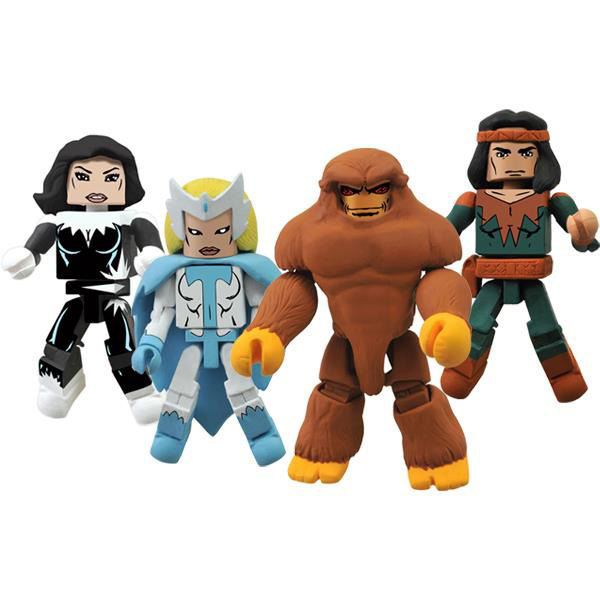 NYCC attendees will have the chance to pic up an entirely new Alpha Flight-themed Marvel Minimates box set at the show, featuring Sasquatch, Aurora, Snowbird and Shaman. In addition to the SDCC set's Guardian, Puck, Marrina and Northstar, the Canadian superteam will also get a two-pack of Vindicator and Box at Toys "R" Us this fall. 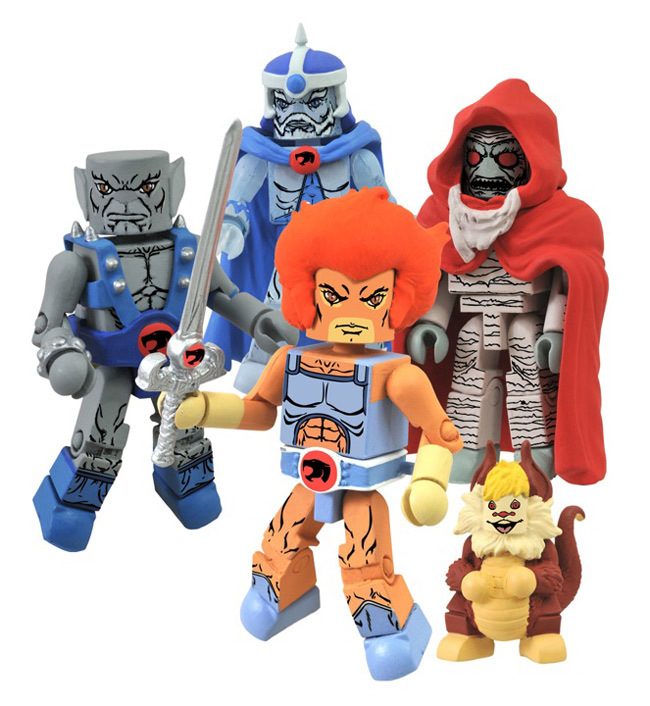 While the first Thundercats set from Icon Heroes consisted of mainly heroes, including Lion-O, Jaga, Panthro and Snarf, the NYCC set is all about the villains! Joining the first set's Mumm-Ra the Ever-Living are his lackeys, the four main Mutants: Slithe, Monkian, Jackalman and Vultureman. Each comes with a signature weapon, and Vultureman even comes with one of his robotic Wolfrats! Pick up both Alpha Flight sets and both Thundercats sets at the Action Figure Xpress booth, #556! Can't make it? Check out http://actionfigurexpress.com after the show! And follow Action Figure Xpress and Diamond Select Toys on Facebook for more info!